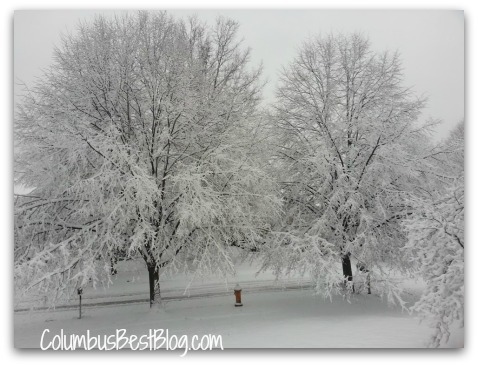 March 6, 2013 Columbus and central Ohio got snow overnight. The storm the media has been promising started late on Tuesday. Local weather forecasters kept moving the timing of the storm back and back. It was raining when I fell asleep, Tuesday night. Or maybe that was sleet. I could hear it on the roof. It was still too warm for snow. The Big Walnut, Buckeye Valley, Columbus, Dublin, Gahanna – Jefferson, Hilliard, Olentangy, Upper Arlington, Westerville and Worthington school districts are all closed. Grandview Heights? I don’t see the Grandview Heights City School District on the news list I am looking at but they are surrounded by school districts that are closed. Looking at a list it surprises me that schools “out in the sticks” are on a two-hour delay but the school districts close in to Columbus are closed. Maybe counties north of us did not receive as much snow as we did. There is a “Level 1 Snow Emergency” in both Franklin and Delaware counties this morning. Buckeye Chuck the local groundhog promised us an early spring in 2013. Marion City Schools (north of Columbus), where Buckeye Chuck lives are closed for the day because of snow as well. Spring will come on the calendar in just a couple of weeks. At 9:50 this morning, March 6, 2013 there is a tornado alert / drill in central Ohio! Relocating to Columbus and looking for an idea about our weather… my HER Realtors site has “environment” information on a local tab. The tabs on the local information are Housing, People, Economy, Schools, Environment, Quality of Life and Map. Environment is weather. 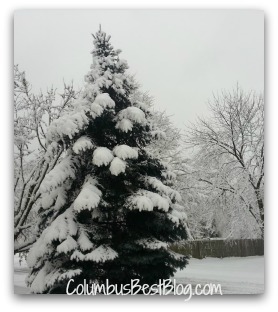 It’s almost spring but we got snow in Columbus on March 6, 2013.